The odds of the Federer twins winning a Wimbledon doubles title in the future have dramatically shortened after Roger Federer and his wife Mirka announced the birth of a second set of twins on Tuesday. The Swiss tennis ace revealed the amazing news on his Twitter account just hours after he announced he was pulling out of the Madrid Masters to be at the birth: "Mirka and I are so incredibly happy to share that Leo and Lenny were born this evening! #TwinsAgain#Miracle." The two boys were born almost five years after the arrival of their twin sisters Myla Rose and Charlene Riva in July 2009 triggered a flurry of good-natured jokes about future doubles champions. Bookmakers even offered odds of 100-1 of the sisters emulating their famous father by teaming up to win at the All England Club but those odds paled into comparison with the chances of another set of twins. While there was no conclusive agreement on the exact odds, the internet provided a wide variety on the chances of parents having two sets of twins, ranging from 3,000-1 to 700,000-1. Federer has been defying the odds on the tennis court all his life, winning a record 17 Grand Slam titles, and the announcement of twin boys sent social media into overdrive with all sorts of predictions about mixed doubles and a new generation of Swiss precision. Former World No 1 Boris Becker tweeted: "Congrats to Mirka and @rogerfederer on the new addition to the #family ! #Leo and #Lenny will partner perfectly their older sisters in mixed". Former American tennis professional Justin Gimelstob added: "congrats to @rogerfederer #Mirka on the birth of #LEO and #Lenny the @Bryanbros @Bryanbrothers records could be in jeopardy! Bob Bryan, who has won 15 Grand Slam doubles titles with his twin brother Mike, responded: "Leo & Lenny! #thefuture #twinsrule." 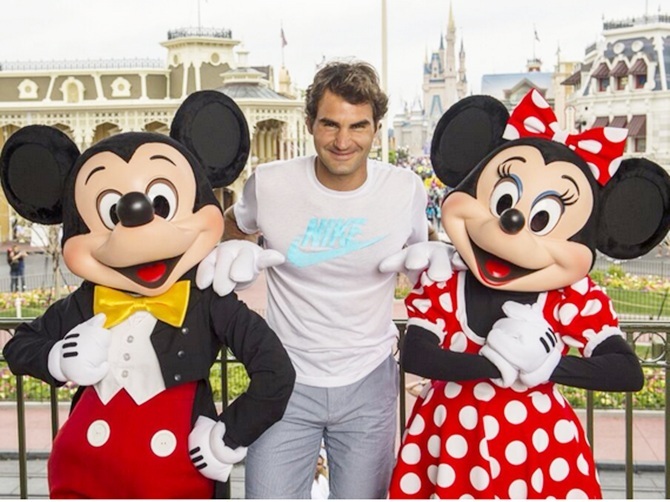 Tennis coach Darren Cahill posted: "Fed works in multiples! Congrats to the Federer family. Very cool. 2 sets of twins." Federer is not the first famous sportsman to have twins - Michael Jordan and Pele did as well - but two sets is a rarity. 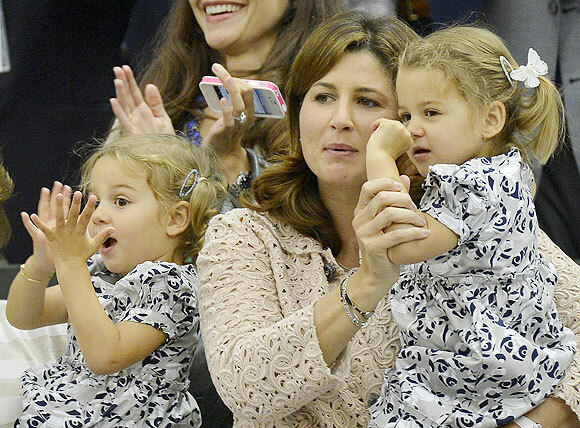 Federer's older sister Diana also has twins and there had been some speculation earlier that his wife Mirka, a former pro tennis player herself, was expecting twins again but the couple managed to keep it a well-guarded secret. Even on Tuesday, Federer was keeping his cards close to his chest, posting a simple note on his Facebook page that offered no clues about the arrival of the twins. "I’ve decided to withdraw from Madrid to be with my wife Mirka during these next few exciting weeks for our family," he wrote. "I apologise to my fans and hope to be back in Madrid next year. "I’ll be training near my home, and am excited to rejoin the Tour soon." The Hottest Sporting Buzz is here! Is Katie Price pregnant again? Mary Kom's comeback -- a journey into the unknown!